Sale of pre-Columbian artifacts predominantly from the Barbier-Mueller collection, conducted over March 22-23 at Sotheby’s in Paris, proved an anti-climactic end to a controversial story. Though estimated to bring in a total of $19 to 23 million, the sale only made $13.3 million and 165 of the 313 lots were unsold. An unwelcome spotlight had been fixed on the sale, as four countries–Mexico, Peru, Guatemala, and Costa Rica–demanded return of artifacts that were allegedly stolen from their borders decades before. In the weeks and days leading to the sale, Peru announced that it was seeking the return of 67 objects, Guatemala made a claim for 13 objects, Mexico for 51 objects were cultural property (as reported in the Associated Press). The countries asserted that at least one third of the artifacts offered were illegally exported before 1900 and approximately half the items were from the Barbier-Mueller collection. Heavily publicized in the European media leading up to the sale, many wondered what effect the controversy would have on the sales figures. Sotheby’s attempted to put a positive spin on the outcome. Guillaume Cerutti, president of Sotheby’s France, explained, “Despite having achieved less than expected, these results are good considering the context in which the sale unfolded.” Additionally, Sotheby’s said that the sale has still set a world record for an auction of pre-Columbian items. 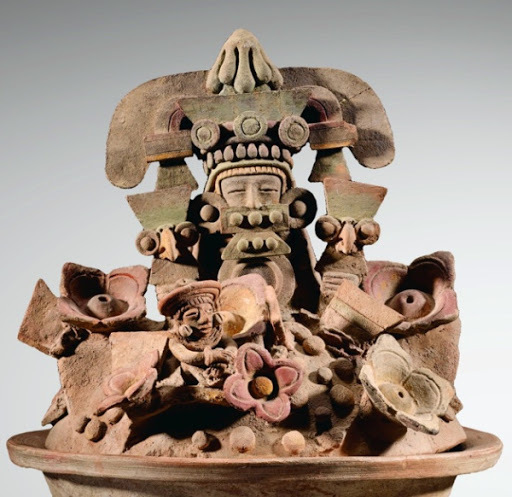 According to its website, the results of the sale–though significantly below the estimate–still outdid Sotheby’s own recent sales of pre-Columbian works, which totaled $12.7 million collectively over the past five years. Illicit trafficking in ancient artifacts has become an increasing problem in Mexico, Costa Rica, Guatemala, Honduras, Brazil, and Peru. Many Latin American countries have passed national legislation in the 1970s, attempting to establish legal ownership of cultural property. As Chasing Aphrodite recently pointed out, there is “quite a bit of overlap” between the contents the Barbier-Mueller Collection and the Red Lists of Endangered Cultural Objects, compiled by the International Council of Museums (ICOM) to combat the illicit artifact sales. 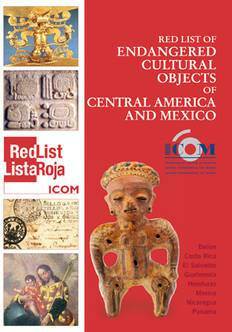 From Nayarit and Olmec figures to Gran Nicoya stone grindstones, many of the pieces appear on these Red Lists. Despite the results that many would call disappointing, the bad press was not sufficient to stop the sale all together. Although there has been increased awareness in recent years of illicit artifact trading and increased efforts by bodies such as UNESCO, ICOM, and the AAMD to establish higher standards for collectors, museums, and auction houses to safeguard against illegal artifact trade, it will likely take years for attitudes to shift and for these rules to truly affect sales of artifacts. Pingback: UNESCO Praises Peru For Tackling Illicit Antiquities Trade – insightcrime.